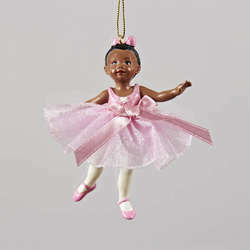 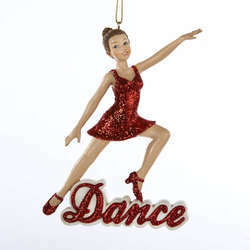 This beautiful ballerina is ready to help you dance throughout the holiday season. 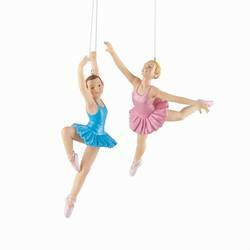 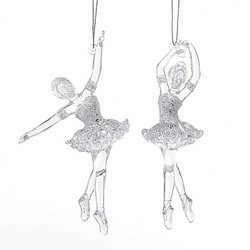 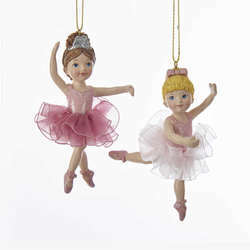 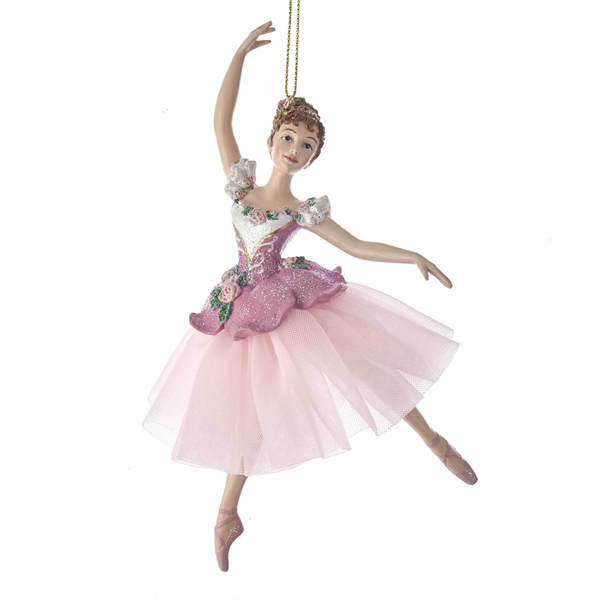 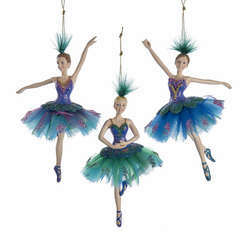 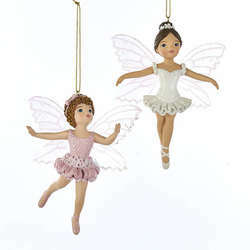 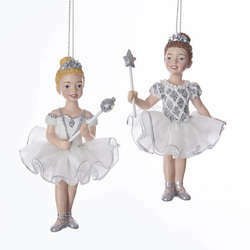 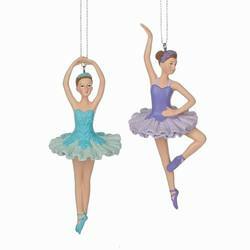 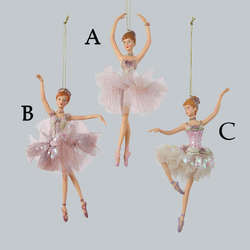 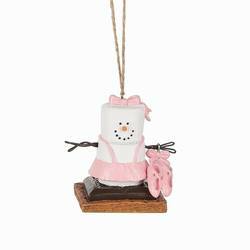 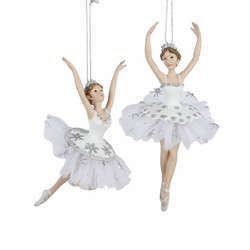 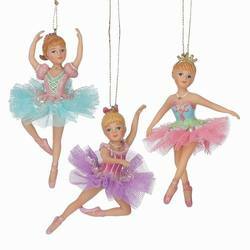 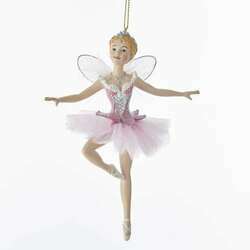 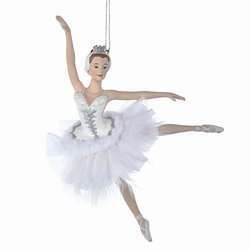 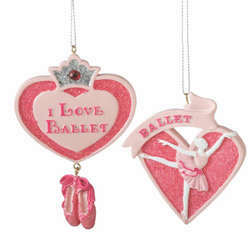 Whether you prefer the waltz, tango, or ballet, our Waltz of Flowers Ballerina Ornament will help you celebrate Christmas's elegance in style. 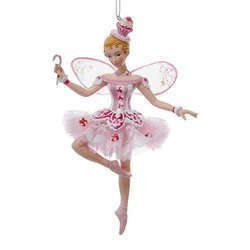 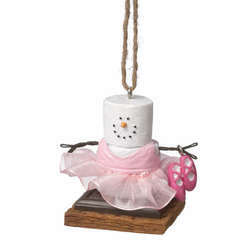 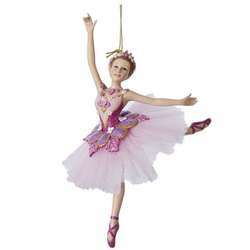 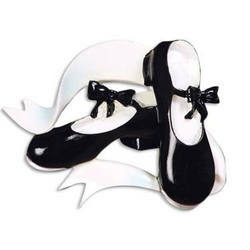 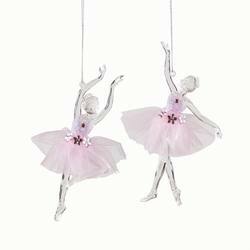 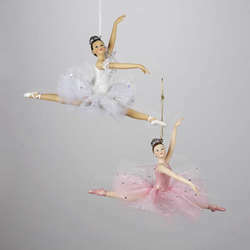 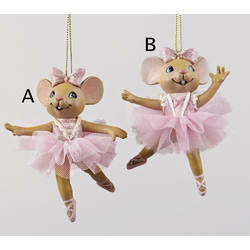 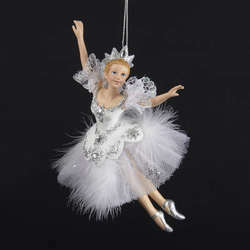 The ballerina's outfit consists of a lovely pink and white dress with flowery accents. 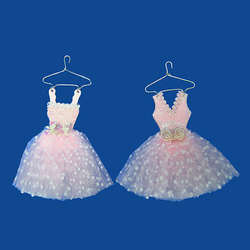 The bottom of her dress extends outward in a poofy lighter shade of pink. 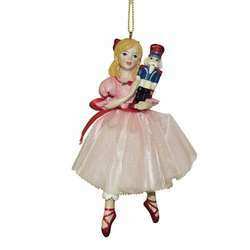 She is wearing pink ballet slippers and her pose shows her standing on her toes on one foot while holding her arms in a L-like shape.